The 2017 Saturday Morning Footy season begins June 10. This year the sessions will run from June 10 to July 22, with a mid-season break for the 4th of July holiday. All sessions are free and the program is open to boys and girls aged 5 to 15. 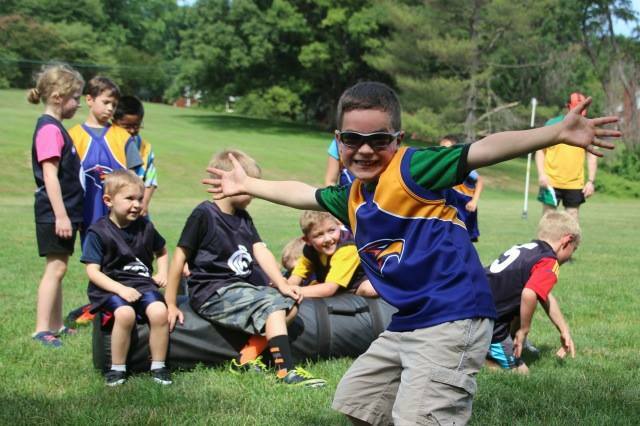 Based on the AFL Auskick program, boys and girls learn the skills and rules of the great game of Australian football through fun and safe games and activities. Every session ends with a modified match. 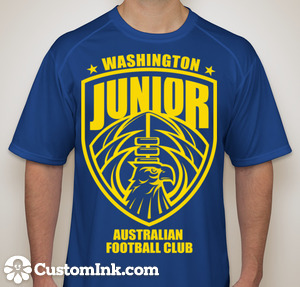 Would you like to purchase an awesome Washington Junior Footy T-shirt? Available in sizes from YS to 3XL for only $30. All profits from the T-shirt sale go back to providing this great program for FREE! These are performance wear T-shirts great for the long and hot DC summer. We also have women's tees, long sleeves and hoodies. They will make great X-mas presents, birthday presents or unique gifts for those heading back to Australia! Purchase yours at CustomInk CLICK HERE. Last orders must be in by June 1 and they will be available for pick up at the second summer session on June 17. 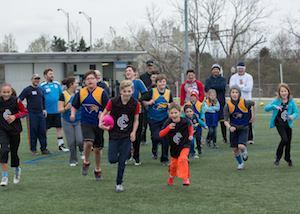 Saturaday Morning Footy is back for its 12th year. Our traditional spring program is the Open Day. The Open Day program is free and open to any girl or boy 5 to 15 who wants to play Australian football. No experience is necessary! Open Day begins at 9am at Virginia Highlands Park in Pentagon City. The program is 90 minutes. To register for the 2017 season go HERE. For the big kids and adults there will be a free Ausball (touch) pick up game. Ausball will run from 10.30am to Noon. 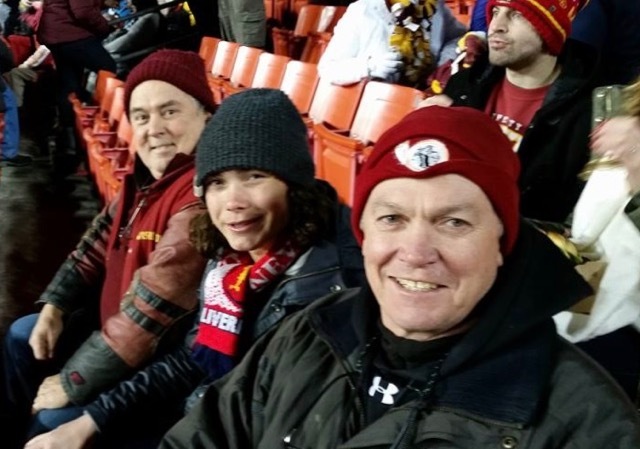 The AFL's Director of Umpiring, Peter Schwab, and his son Michael, joined Washington Junior AFL President, Chris Adams, and At-Large Member, Steve Carty, at Monday Night Football. It was pretty cold night at the football. But despite the cold, Peter and Michael enjoyed watching Cam Newton show his stuff and do the dab. The AFL announced that Peter had taken up his former role as head of umpiring after stepping down as list manager at the Brisbane Lions. The 2016 Winter Camp will be held on Saturday December 3 at 9.30am at Long Bridge Park #1 (in Crystal City, Arlington VA). Note the later start time. The 90 minute session will be rain and shine. No experience is necessary to participate. After the Winter Camp, we will have the Washington Junior Football Club Annual General Meeting. This meeting is open to anyone but only members of the club can vote or be nominated for board positions. This meeting is important for setting the direction of the program and the club for 2017 and beyond. For more information on the club CLICK HERE.